CMJ is a music festival that quite literally takes over New York City for a week every year. During the day, there are multiple opportunities for individuals, especially college students, to learn about the music industry from professionals at various panels. But when the sun goes down, venues and bars across New York fill in with hundreds of up-and-coming artists. 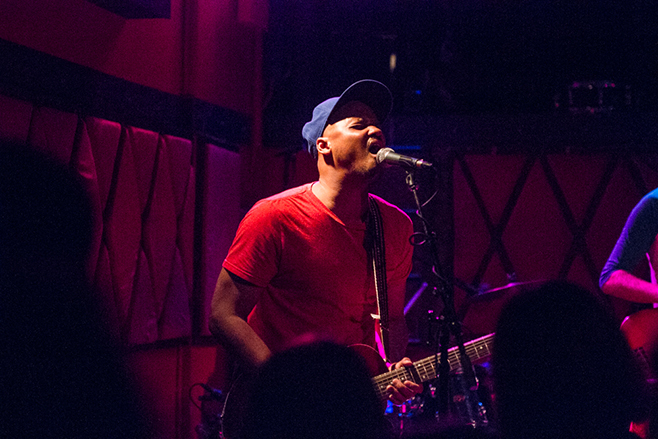 The first notable showcase of the week was UK-based Communion Records at Rockwood Music Hall. The venue was packed for Aaron Earl Livingston, AKA Son Little, who was clearly a great choice to kick off CMJ with a warm welcome. With his guitar in hand, Livingston poured out blues-inspired songs one after the other, which had the crowd roaring and cheering for an encore at the end of the set. 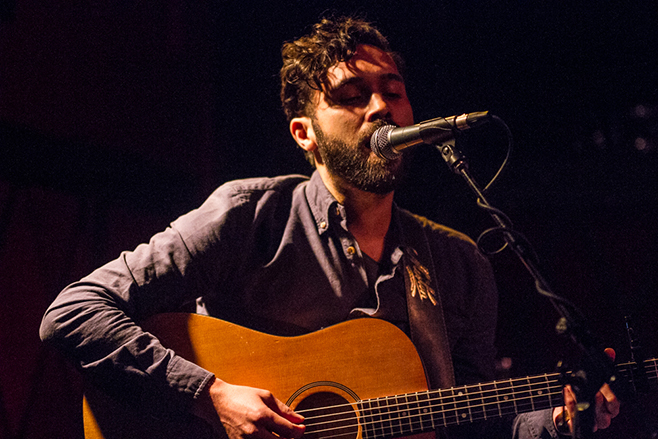 After a short break, the opening chords of a song brought the chitchatting crowd to silence – Ben Abraham had taken the stage for his first New York showcase. Abraham’s songs are quite serene, creating a mellow vibe at the venue, while his voice captures the listener’s attention on all levels from melody to beautifully written lyrics. His debut album Sirens was released in Australia last November and is set for North American release next month. Being a fairly new artist, Abraham is not yet well known in North America – so this album is still new to most people. The next performer, Marlon Williams of New Zealand, took the audience by surprise. Williams opened his set with some casual small talk before heading into his folky guitar set. Having roots in a choir no doubt contributes to Williams’ angelic voice. The CMJ showcase is one of Williams’ two stops in the US; his Americana-inspired voice is well suited to the countryside of Australia and parts of Europe, where the rest of his tour is taking place, but we’d love to see him back in the big apple.